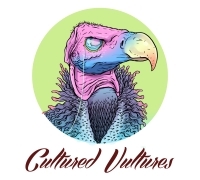 Since 2013, Cultured Vultures has been offering inexperienced writers opportunities that they may not get elsewhere. Look, we know you have probably already read hundreds of About Us pages and all of them will more than likely claim to be special, that they stand out from the crowd, and so on. We’re instead just going to tell you to get in touch if you want to join a community for writers, by writers. We work with writers to hone their writing style, show them where they can improve, and also how to not only get their work seen, but most importantly, read. We’re independent and pretty small, so we can’t offer you a career, so think of us as your starting point. Oh, and we can also pay you. It’s not great, but it’s all we can do. People don’t really like adverts, for some strange reason. – Pay you to write about what you love. – Only give you assignments if you want them. – Give advice on how to build your writing portfolio. – Allow you to write in your time. No minimum obligations. – Show you how to share your work. – Give honest feedback and advice on your writing. – Help you gain access to conventions, gigs, and all sorts. – Work with you on video content. – Potentially give you editing training (if you want it). – Retain no copyright on your work. If you leave, you can publish it elsewhere, though we would have to take it down from CV and redirect it to the current version if applicable. – Provide review copies of games and movies. Find out who to contact over here, or check out all of the Vultures this way.